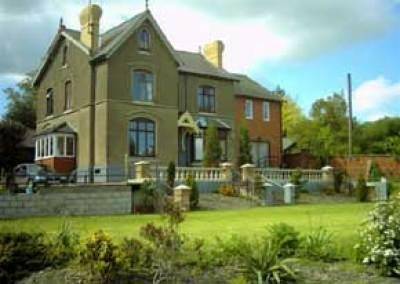 The accommodation is ideally situated for exploring Shropshire, Herefordshire and the Mid-Wales borderlands. Mediaeval towns of LUDLOW and SHREWSBURY, the world famous IRONBRIDGE and the walking country of OFFA'S DYKE, LONGMYND, STIPERSTONES and WENLOCK EDGE are but a short drive away. Other activities nearby include gliding, fishing, golf, riding and a sports and arts centre. Bishops Castle is in south west Shropshire and borders Herefordshire and Mid Wales. This small ancient town is in an area of outstanding natural beauty and provides a unique centre for the exploring the beautiful south Shropshire countryside. Walk or cycle through the hills and along the Marches between England and Wales. Our three comfortable holiday homes are located in the grounds of the owner’s large detached home close to the centre of the small market town of Bishop’s Castle and the historic Three Tuns Brewery and Public House. GROOM'S RESIDENCE: Beamed lounge with cosy fireplace and dining area, small kitchen and ground floor shower room. A pretty double bedroom is on the first floor. A small romantic hidaway for two. COACH HOUSE: Spacious cottage adjoining the Groom's Residence, this property has two bedrooms, one double and one twin, lounge with patio door, dining kitchen and ground floor shower room. GARDEN COTTAGE: This delightful property adjoining Claremont House has two bedrooms, one triple and one double with extra sleeping for one downstairs if required. Lounge with patio door to garden, dining kitchen and upstairs shower room. Lovely views across the Shropshire countryside. 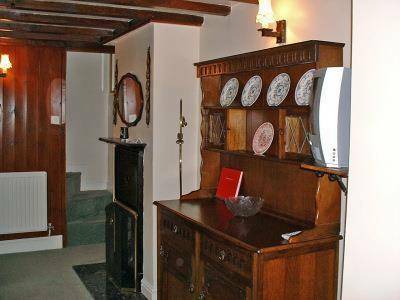 The cottages are personally supervised by ourselves and offer comfortable and well equipped accommodation. A cot and high chair are available on request. Large garden suitable for children and private off-road parking. Laundry facilities are available in a shared and metered utility room. Local shops, restaurants and services are close by. All the properties are fully equipped with everything you would need for your stay. 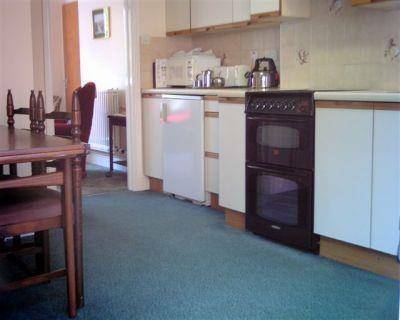 SERVICES: Including in the rent are all bed linen and towels, gas, electricity, hot water and central heating.